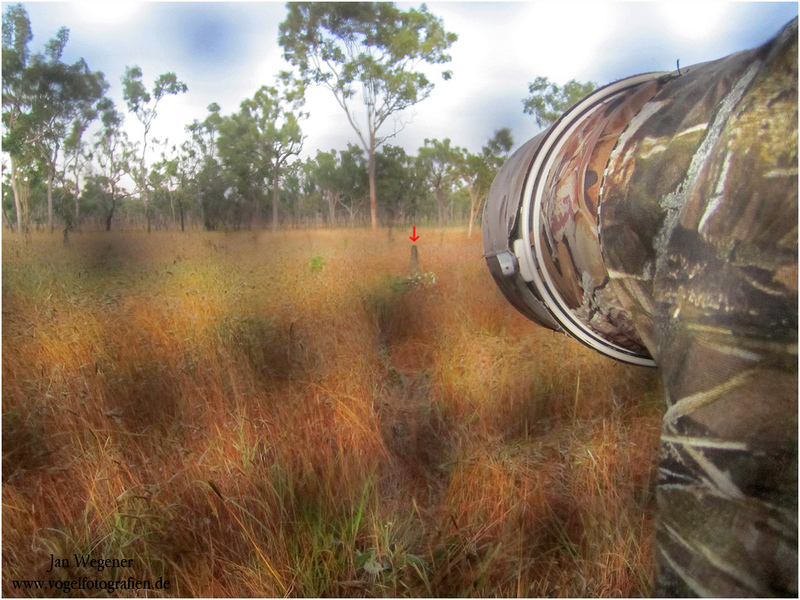 In May 2012 I traveled all the way up the Cape York Peninsula to photograph the endangered Golden-shouldered Parrot (Psephotus chrysopterygius). 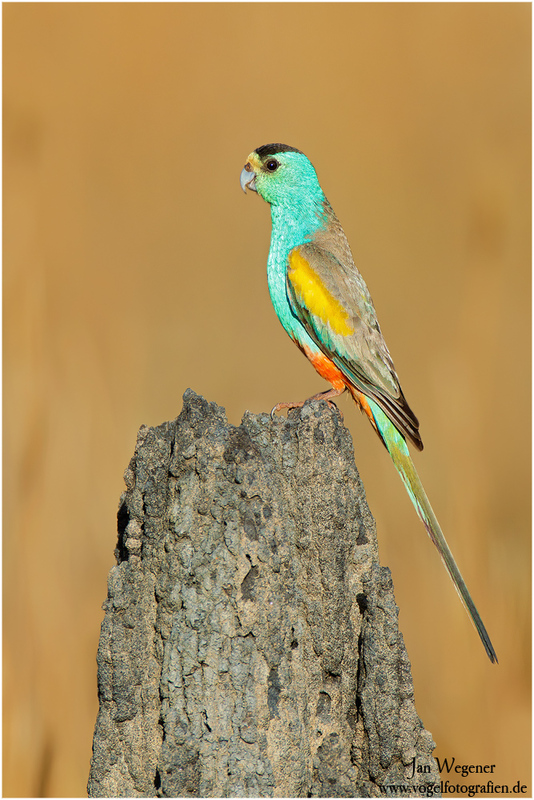 These beautiful parrots breed in termite mounds. every year they chose a new mound, in which they dig their nesting hole. During the wet season, the termite stops building their mounds and the rain softens them. This enables the parrots to dig a hole into the mount and raise their chicks, without risking that their chicks a being locked in by termites trying to close the hole. Golden-shouldered Parrots (Psephotus chrysopterygius) prefer quite small mounds. This one was particularly small and only about 1m tall. Nest entry to the nest was just 30cm above the ground! The making of looks a bit funny, because it’s taken through my blind. The red arrow marks the mound and the spot where the bird perched. The difficulty with this bird was that it only came to the nest 2-3 times a day and only one of these times was good for photography. Which meant that we had to stand in front of the nest for about 2 hours. Then out of nowhere the birds would come in, perch on top of the mound for about 2-3 seconds and then fly into the hole. If you missed this one chance, you had to wait till the next morning for your next chance!